Beautiful Move in Ready Townhome is just 3 years old. This is a 3 bedroom, 2.5 bath, 1 Car garage with a loft. The spacious and open plan downstairs features a living room, dining room where new plank vinyl flooring has just been installed. The huge kitchen is a cooks dream with Granite counter tops, tile flooring and beautiful wood cabinets with lots of storage and generous amount of counter space. Master bedroom has lovely tiled en suite with a spacious shower dual sinks and walk in closet and is located on the second floor along with two secondary bedrooms and a shared bath. Also located upstairs is a generous loft with a large walk in closet and laundry area with a full sized washer and dryer. Town home is located in the back of the community and overlooks a big open area a great play area. The community pool is a perfect place to relax on those hot summer days. 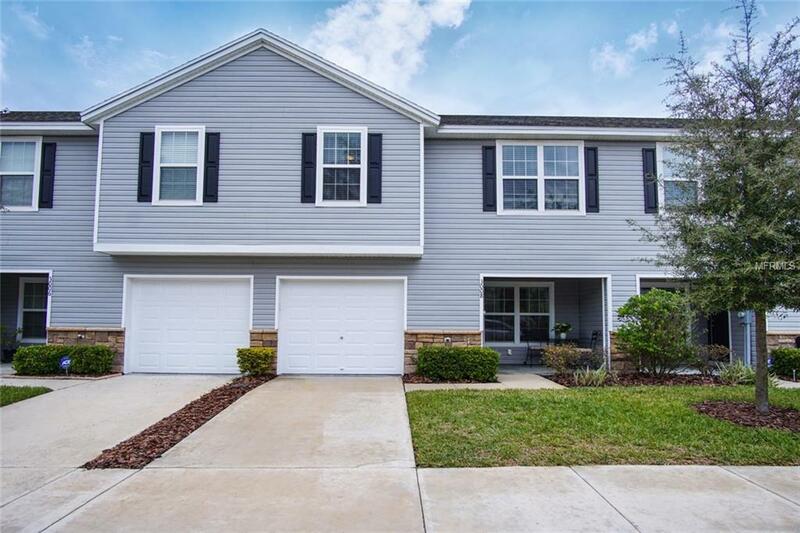 Oakwood Terrace is located a short drive to major interstates for access to Downtown Tampa and MacDill AFB. No CDD and a Low HOA of $145.00 a month!